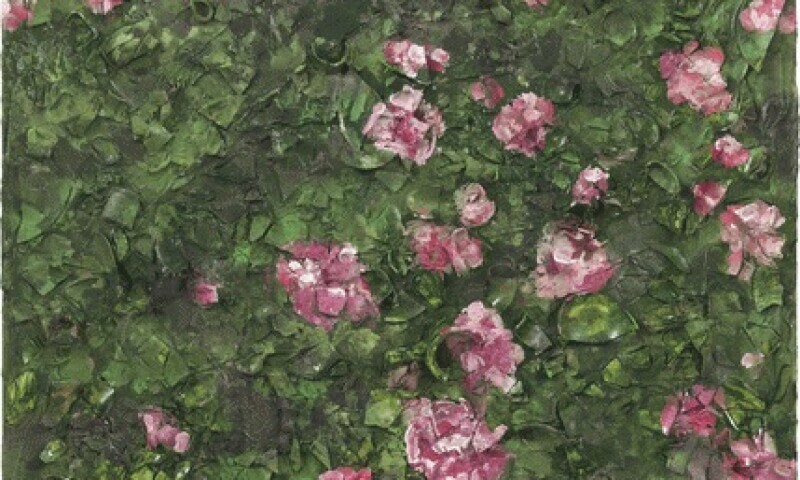 Julian Schnabel, Peinture de rose (Près de la tombe de Van Gogh) XVII, 2017. For its first invitation to a figure of contemporary creation, the Musée d'Orsay invites the painter and filmmaker Julian Schnabel to offer a reading of the collection, proposing, in two of the museum's historical rooms, a new scenography and a selection of works never presented together. Julian Schnabel is one of the most important living painters. Celebrated since the beginning of his career in the 1980s, his work is in the most famous museums in the world, including the MoMA of New York, the Tate of London, the Pompidou Center in Paris, which devoted a personal exhibition, from 1987. He is also a major filmmaker, author of films such as Basquiat(1996), Before the Night (2000, Grand Jury Prize at the Venice Film Festival),The Diving Bell and the Butterfly(2007 Golden Globe for Best Foreign Film, Golden Globe for Best Director and Best Director Award at the Cannes Film Festival for Julian Schnabel). For this exhibition, his first in a major French institution since the Center Pompidou, at the very moment of the release of a film dedicated to Van Gogh, At Eternity's Gate , the artist chooses in the collection of the museum works that converse: Van Gogh, Gauguin, present in his film, but also Cézanne, Manet, Courbet, and lesser-known and influential artists, such as Carolus-Duran and Théodule Ribot, to give the public a fresh look at these works he has already seen, but will discover in a new perspective - that of Julian Schnabel. In contrast to these paintings, the artist will present a selection of his own paintings, paintings from the 1980s to 2017, highlighting the qualities of painting, which remain from the nineteenth century to today. Painted in conversation with Manet or Van Gogh, they will offer a new, synthetic look on the work of a major painter today.